It is always fascinating to find out how archaeological magazines are doing in other countries, and we had a marvellous opportunity to do this at the Annual meeting called the Borsa Mediterranea del Turismo Archeologico which is held every November at Paestum in southern Italy. 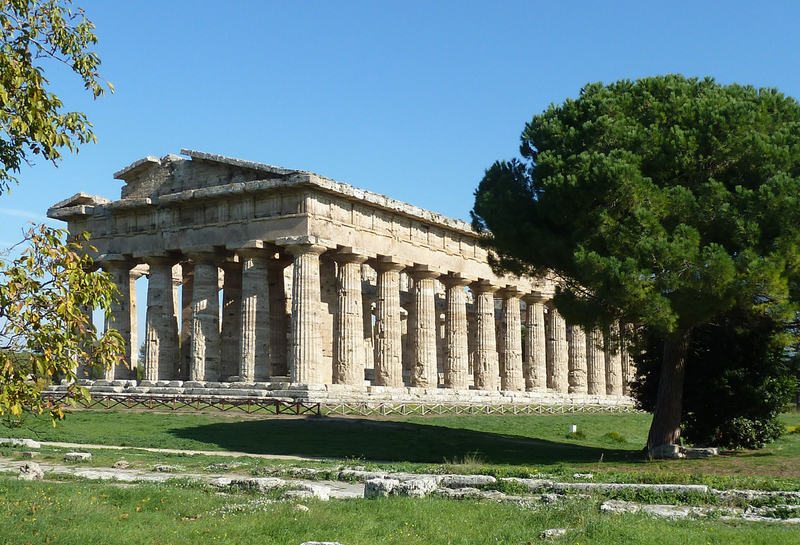 Paestum is a marvellous place to visit as it has the finest collection of Greek temples in the world — three of them, virtually complete, and all on the same site. 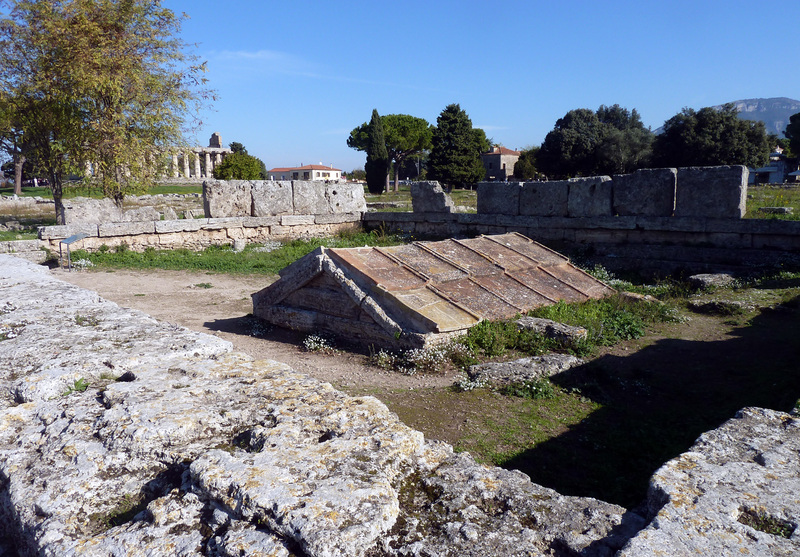 This November the sun shone and it was crystal clear, and we went round seeing the temples, and the town, and the forum, and the agora, and I slipped away from the tour to see the newly excavated town houses, which are very extensive. I didn’t have time to see the museum this year which has probably the world’s finest collection of Greek paintings, or perhaps one should say sub-Greek — they are mostly done in sub Greek style when the local Italiote tribes, the Lucanians took over from the Greeks. 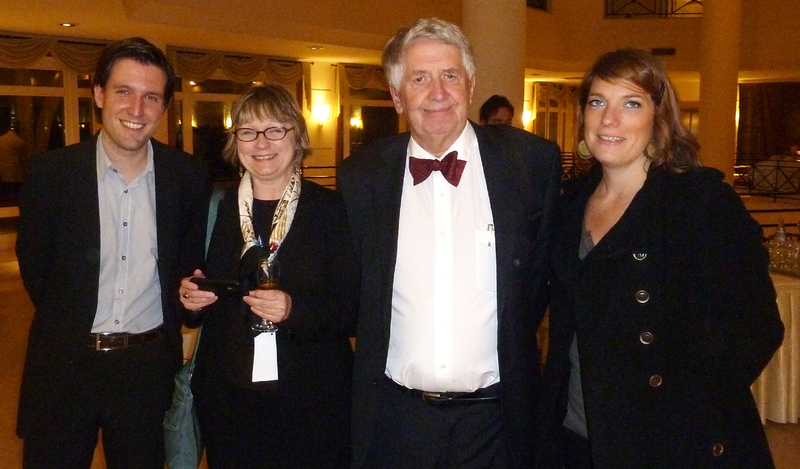 This time there were four of us ‘foreigners’ present, from Germany, France and America. From America we were all pleased to meet the new Editor of Archaeology, the American magazine with a circulation in excess of 230,000, which following on Peter Young’s retirement, is now edited by Claudia Valentino. 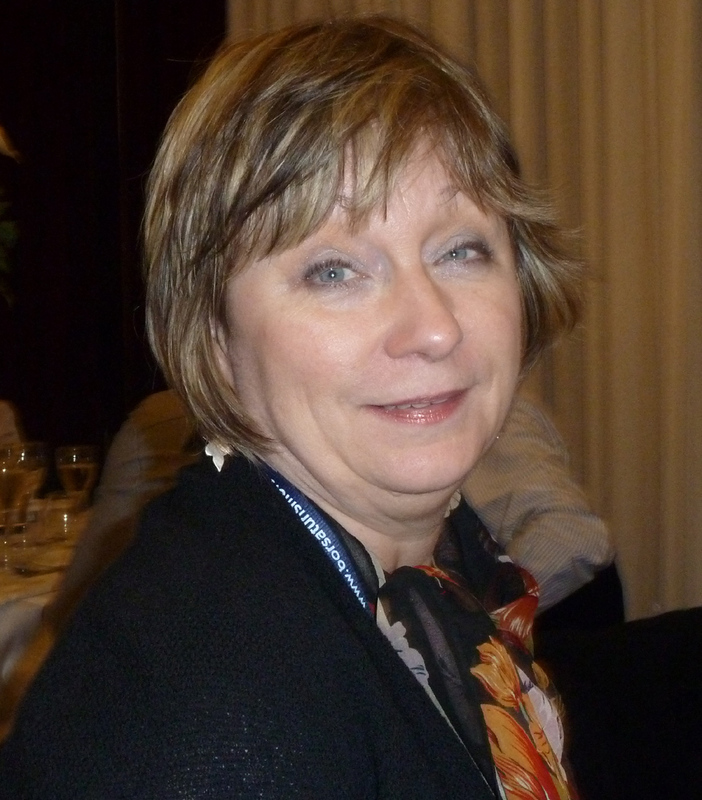 Claudia comes from a long career in magazine publishing, most recently from the popular science magazine Seed. 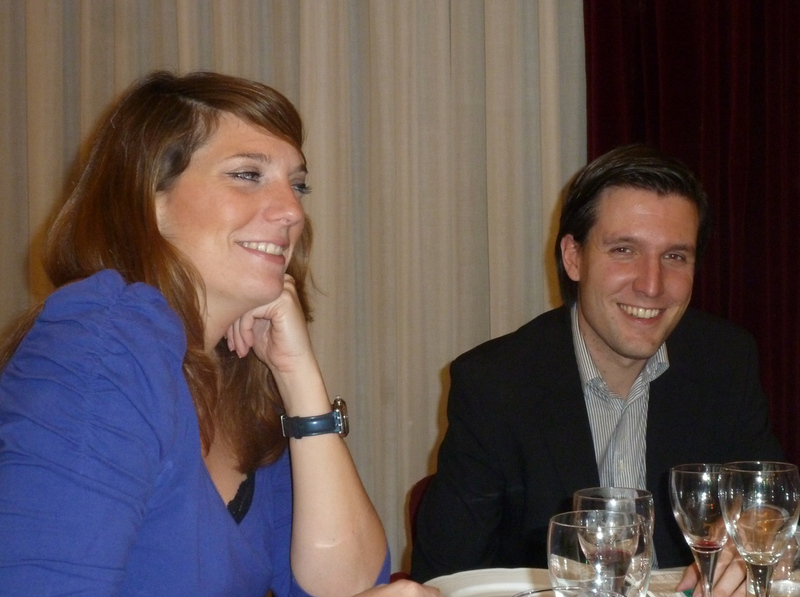 Then from Germany we had Holger Kieburg who edits Antike Welt, the upmarket German magazine. From France there was Charlotte Felix who edits les Dossiers d’Archaeologie, one of the magazines of the Faton group still headed by the 90 year-old founder, Louis Faton. We were all brought together by Andreas Steiner, Editor of the Italian magazine Archeo: to complete the line-up there was also Josep Borrell from Clio in Spain and Piero Prunetti, the Director of the other Italian magazine, Archaeologia Viva. The Borsa is an amazing organisation. Borsa is the Italian name for the Stock Exchange and it sets out to be an exchange for archaeology, – one might almost call it a trade fair. It all takes place at a remarkable hotel — the Ariston which from the front looks like an ordinary 4 star hotel. However it has a large number of lecture theatres behind, one containing 500 seats, and another slightly smaller one with a simultaneous translation booth where I gave my talk which was simultaneously translated into Italian,–and I heard all the other lectures simultaneously translated into English. Then behind the lecture theatres there is huge exhibition hall, like Earls Court or Olympia. The whole thing had been built up, piece by piece, all slightly chaotic. There was also a ‘benessere‘ section, presumably devoted to ‘well-being’ which we did not explore. There are three main sections to the Borsa. 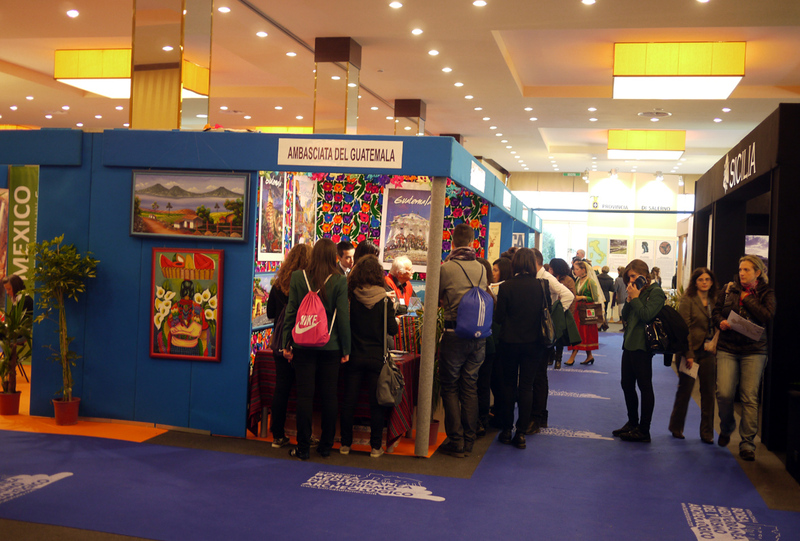 The main feature is archaeological tourism: the main exhibition Hall is full of booths with pretty girls urging you to visit their country or town. Then there is what one might call a straight conference section with a number of lectures on archaeological sites which I would love to have attended if only my Italian was a little better. 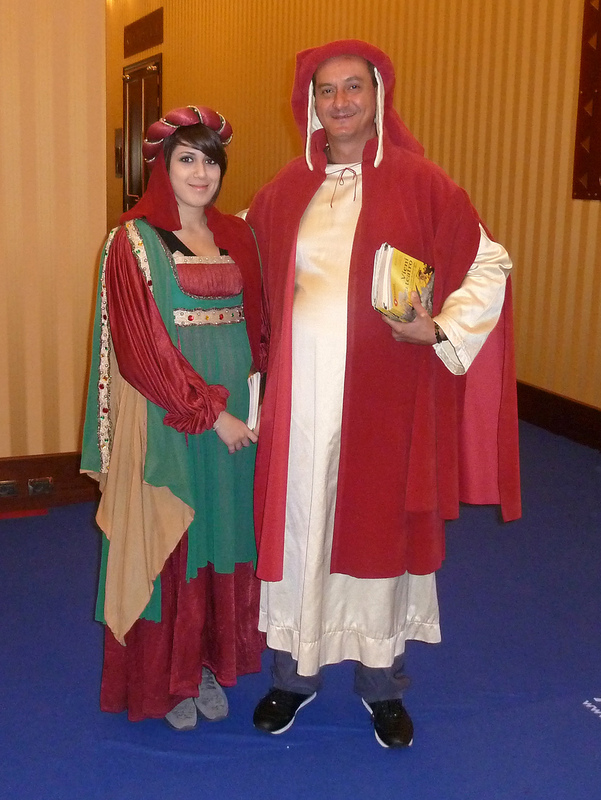 It also brings together all the archaeological clubs in Italy. I should love to have attended their meetings, but alas my Italian is not good enough. There is also a big section on archaeofilm and archaeovirtual where everyone gets together to show the latest news in virtual reality — there was a film reconstruction of Alexandria in 3D. Another team was also working on an intriguing device whereby you can take your mobile phone to a site and it will find your position by GPS, and then show a reconstruction of what the site would have looked like in Roman times. And then there was the archaeological site to visit. Sensibly the modern town is being developed several miles away from the classical town, though there is quite a substantial town hidden away in the ancient town. 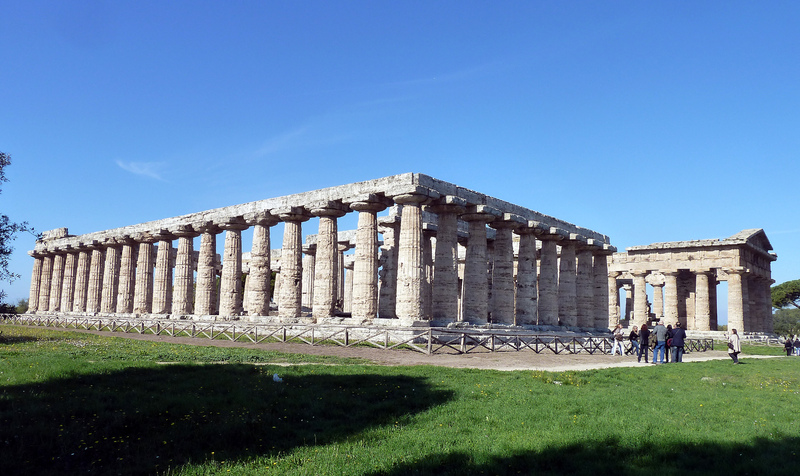 We were taken there by coaches on a tour and I saw once again in gorgeous sunlight the glories of ancient Paestum. 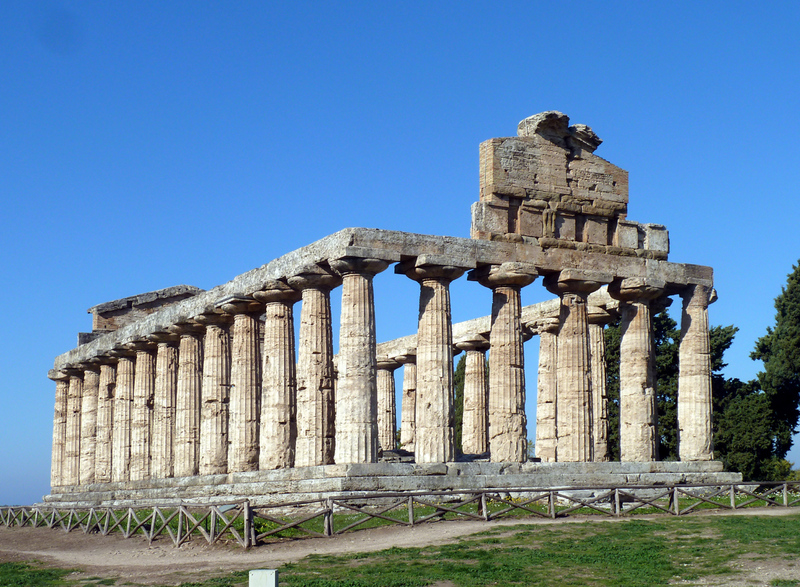 In other towns one can see one or even two Greek temples, but Paestum as far as I know is the only town where you can see three, all of them build in a very short outburst of creativity and activity in the 5th century BC. At the northern end there is a temple traditionally assigned to Ceres, but probably dedicated to Athena. Two temples: nearer temple the ‘Basilica’, in fact a temple to Hera. Beyond it the grandest temple, probably to Zeus. And then at the southern end there are two great temples side by side. The taller and more majestic temple is that traditionally dedicated to Poseidon, but which was probably dedicated originally to Zeus, while the southernmost temple, wrongly identified in the 18th century as a basilica, was probably dedicated to Hera. But there are not just temples to admire. There are also two market places: a Greek marketplace known as the Agora and on a separate but adjacent site a much larger Roman marketplace known as the Forum. The Greek marketplace is unusual in that at the end there is a subterranean tomb, probably originally covered by a barrow, in which a hero was buried, presumably the founder of the city. Then at the northern end there is the town meeting place, or the ekklesiasterion. Such structures are usually semi-circular, but this one is circular apparently a fashion of southern Italy, compare that at Metapontum. There is also an amphitheatre and all the buildings surrounding the Roman forum. Veleia, showing medieval tower on hilltop. On the second day I went on a coach tour to visit Velia another Greco-Roman town about thirty miles to the south. 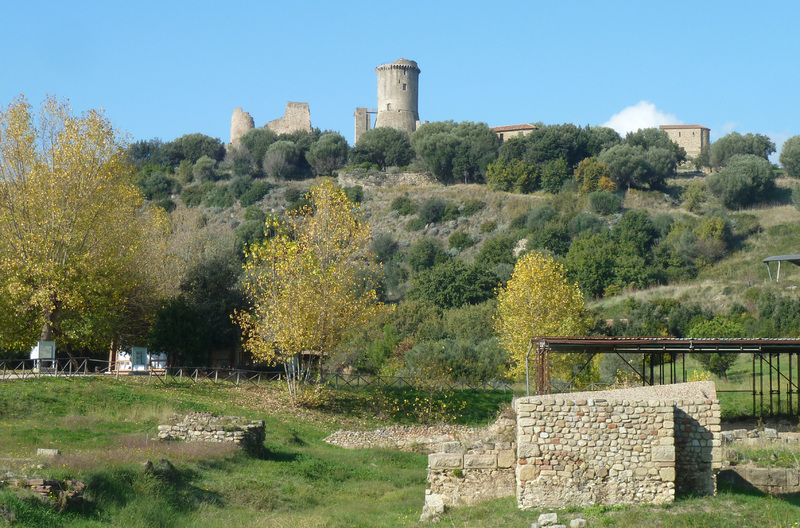 This is very different, being divided between a hilltop acropolis, now crowned by a 14th century tower, and an extensive Hellenistic and Roman town down on the plain with an important medical school dedicated to Asclepius, and a large public building established by Augustus with a very fine twelve-seater public toilet in the corner. All in all, a fascinating visit, both to catch up with what our fellow magazines are doing, and to visit once again one of the most glorious of all archaeological sites. 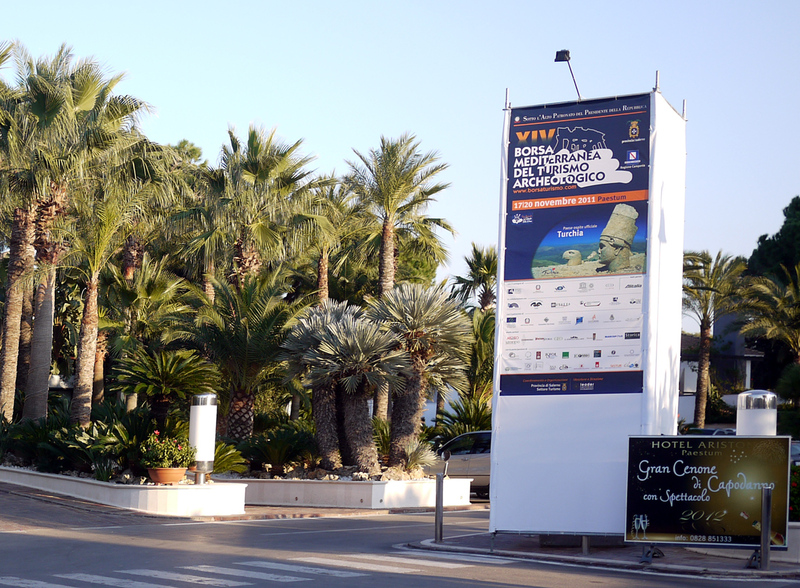 Our thanks go to Ugo Picarelli, the maestro of the Borsa, and to his team who organised everything so brilliantly, and to the Province of Salerno and the other organisations who made it all possible. We will be shortly devoting a special issue of World Archaeology to Turkey, to celebrate the hospitality given by the Turkish Tourist Office, who were the official National hosts of the Borsa.